While many of our patients enjoy our wonderful micro-needling results in the Medi.SPA, we are now thrilled to offer Micro-needling with PRP treatments. Micro-needling makes hundreds of tiny holes in the upper most layer of your skin. This activates the skin renewal giving a fresher, firmer, youthful result. The treatment can address acne, blemishes acne, freckles and other imperfections. Platelet-Rich Plasma (PRP) therapy is a treatment which uses your own blood platelets to stimulate new cell growth, helping to improve your complexion, skin texture and to restore lost facial volume. PRP becomes more powerful when combined with micro-needling. The available clinical evidence indicates that the addition of PRP improves cosmetic outcomes especially with regard to acne scars. Micro-needling with PRP can improve fine lines and wrinkles, soften stretch marks, even skin tone, and firm skin texture for fresher, more youthful skin. Improvement In Skin: Micro-needling with PRP yields amazing results that celebrities adore. It does not only enhance your skin, but also triggers the healing process. It improves all the damages like freckles, blemishes, acne scars, sunburn spots, stretch marks and other skin imperfections. Fast Recovery: This treatment does not require much time to heal with only minimal recovery. Healing Process: The PRP treatment along with micro-needling starts the body’s healing process. This reaction causes another collagen reaction, which boosts the damage repair such as above mentioned skin imperfections. Long Lasting Result: Micro-needling with PRP carries long lasting and satisfactory results. PRP used with micro-needling can amplify the regenerative effects of micro-needling. 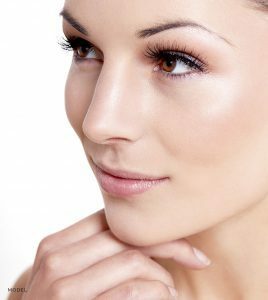 We invite you to contact our office to see how micro-needling therapy with or without Platelet-Rich Plasma (PRP) can improve your facial appearance! Please call 972-774-1777 to set up your appointment.